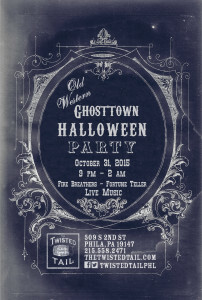 Ghost Town Halloween Party at The Twisted Tail! 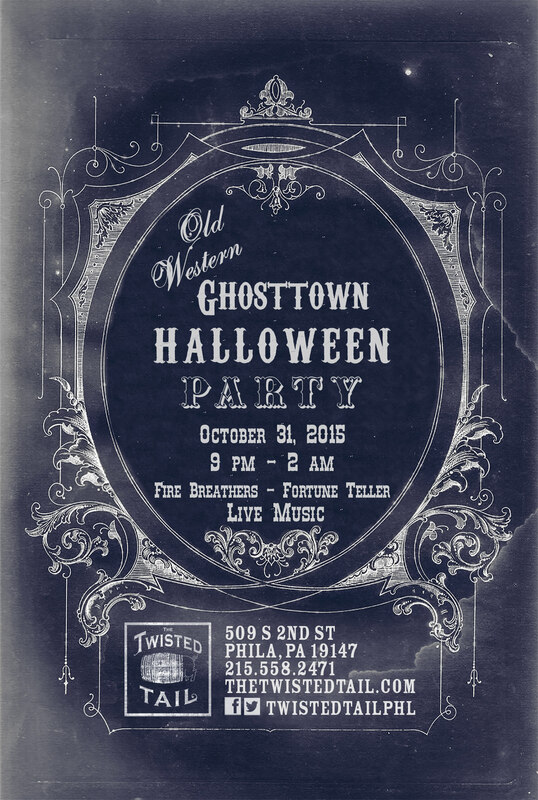 Outlaws, cowboys, and townsfolk alike are getting ready to saddle up and gallop on over to The Twisted Tail’s Old Western Ghost Town Halloween Party! Starting at 9 p.m. on Saturday, October 31st, The Twisted Tail in Society Hill is celebrating the spookiest time of the year with one heck of a hootenanny. Attendees will be entertained by firebreathers, a fortune teller, and live music, along with (of course!) the Tail’s extensive list of bourbons and whiskeys. Costumes are encouraged, but please, leave your horses and wagons hitched outside. 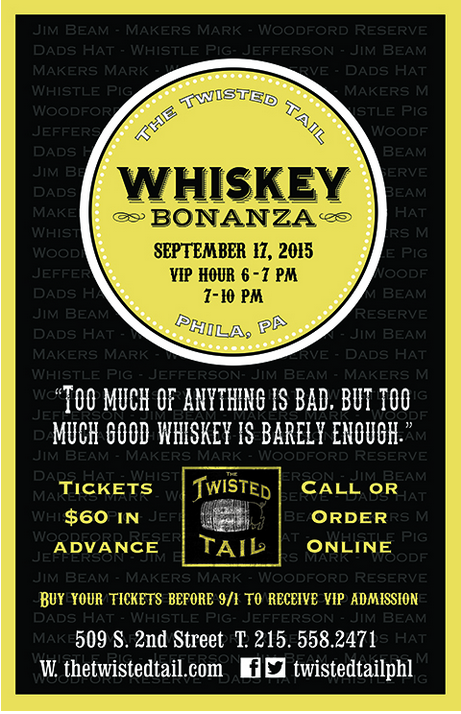 For more information call (215) 558-2471 or write to info@thetwistedtail.com. The Twisted Tail is located at 509 South 2nd Street, Philadelphia, PA 19147. 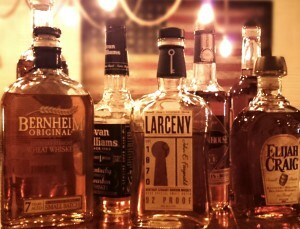 Whiskey Bonanza at The Tail! September is our favorite month over at The Twisted Tail, and that’s because it consists of 30 days devoted solely to the celebration of our favorite booze. 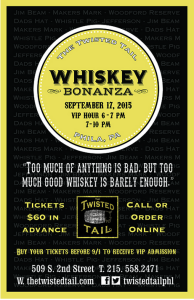 Starting at 7 p.m. on Thursday, September 17, The Tail is ringing in Bourbon Heritage Month by throwing their second annual Whiskey Bonanza right in Headhouse Square. Folks attending can expect an evening abundant with libations, live music, Cheese E. Wagon food truck, and the company of fellow bourbon lovers. Most importantly, guests will stay sipping on over 60 varieties of the star beverage throughout the night, including names like Maker’s Mark, Whistle Pig, Basil Hayden, Jefferson Reserve and so much more. Looking for something fun to do? The Twisted Tail will be hosting a Heaven Hill whiskey tasting on Thursday, July 30, from 7 to 9 pm. Stop by to taste Elijah Craig 12 year, Rittenhouse Rye, Bernheim Wheat Whiskey, Evan Williams Single Barrel, and Larceny. Tickets for this event are $30 each and are available for purchase now, either online, by phone, or at the door. Don’t miss this exclusive event! The Twisted Tail, located in Headhouse Square at 509 South 2nd Street, is open Sunday through Saturday for lunch, dinner, late night fun, and weekend brunch. For hours and reservations, visit thetwistedtail.com or call 215.558.2471.